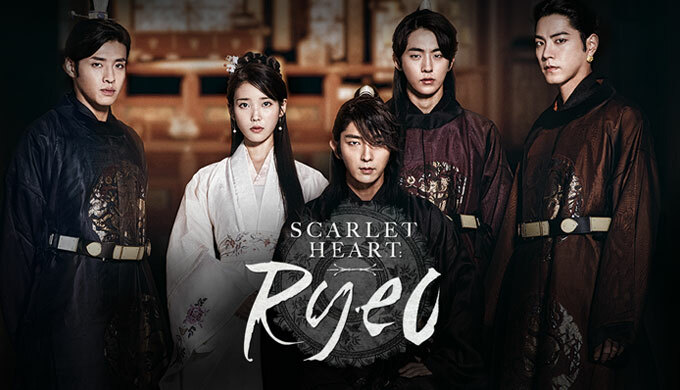 Scarlet Heart Ryeo… can we just cut you in half and only keep the good part? The first 8-10 episodes of this show were solid. They were sweepingly romantic, filled with tense political intrigue, familial love and hate, and suppressed emotions. Though it’s a time travel story, you’d never really know it. The female lead, our time traveler from the future, doesn’t do much other than start out a little hellion rule breaker and slowly, sadly, adjust to the past and all the impossible restrictions and repressions it affords its people, especially of the female gender. She went from defiant and interesting to suspicious and bland… not to mention confusing. I didn’t get her at all towards the end. I didn’t really get anyone towards the end. What happened? Was Goryeo just too much for everyone? It was too much for me, apparently. The second half of this show, when it basically slid down a very steep hill into boring, incomprehensible emotional mush, should be stricken from the record. If only, right? The last few episodes were so bad, so painful to watch, that I literally lost all love for this show – which had me firmly wrapped around its fingers in the beginning only to drop me along the way like a toy forgotten. Bah! There’s nothing wrong with having a 10 episode show. If you can’t sustain your drama, then cut it! I really like Lee Joon-Gi. He has this cute devious smile and gives us some of the firmer K-Drama kisses on the market. Lee Ji-Eun was unknown to me before this show, but delivered a convincingly cute duck out of water until she was beaten and almost killed. That’s really when this show started to flounder. It’s like it felt bad about its own plot line decisions and, like someone caught in a lie, kept trying to rework the story to make us believe it… but the longer it babbled on, the more we knew it was b.s. Overall Rating 5/10. Battling princes that only want to play until halftime. First half was excellent (9/10 good, really), second half pure Sageuk garbage.